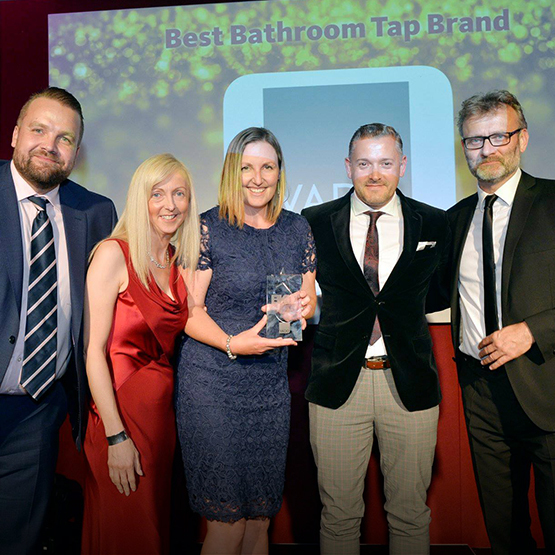 VADO have announced the launch of Sensori SmartDial; the next generation of smart showering. Compact in size yet powerful in performance, the Sensori SmartDial offers an innovative solution for the contemporary home. Designed to deliver a tailored bathroom experience, the SmartDial allows you to store your ideal temperature, flow and bath fill choices in three unique user settings, offering full control at your fingertips. 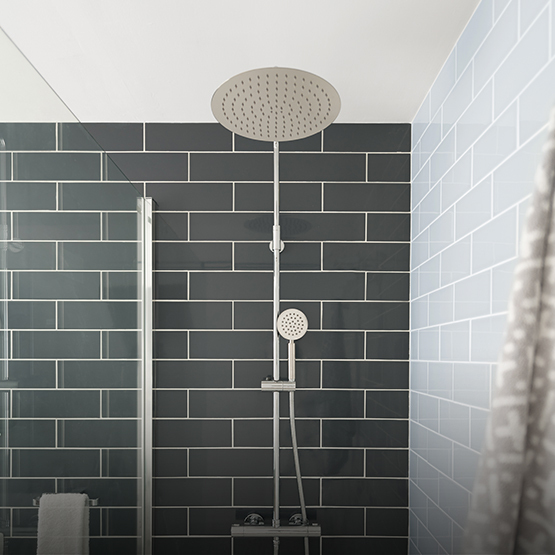 Simply save your choices, save time and revitalise your bathroom. Combining modern showering technology with contemporary minimalist trends, the SmartDial’s refined and rounded form is accentuated by discreet, ambient lighting with a spectrum of colours to denote your perfect temperature. Featuring soft-turn, tactile dials for effortless temperature and flow adjustment, the SmartDial delivers assured quality you can feel. With an additional start/stop remote to maximise control from outside the bathroom, the SmartDial allows you to turn on your shower without getting wet. Effective showering with maximum efficiency. Expertly designed for simple installation on to tiles and thin walls, the SmartDial’s easy-fit, cavity bracket allows for a neat and tidy final finish, perfect for all modern bathroom interiors. The SmartDial’s single outlet, single dial shower valve offers a neat and compact solution with precision temperature control, perfect for operating a fixed shower head. The SmartDial’s dual outlet, two dial valve provides both temperature and flow control for precise operation of two independent shower heads, to deliver an all-encompassing showering experience. Whilst the SmartDial’s dual outlet, two dial bath/shower valve offers full showering operation, including temperature, flow and outlet control plus bath fill functionality that stores your ideal water volume, allowing you to recreate the perfect bath every time. Quick to install, simple to maintain and easy to use, Sensori offers full control at your fingertips. Featuring a superior five-year guarantee to provide clear peace of mind, SmartDial delivers innovation without compromise. Angela Neve, VADO’s Product and Marketing Director, comments ‘we have ensured the Sensori SmartDial features the latest innovative technology to deliver a truly enhanced user experience that’s tailored to you. Smart, minimalist and ultra-refined, the SmartDial offers purity of design and effortless functionality to add a point of difference to any bathroom’.